Jim Peterson has joined Merchants Bank in Cannon Falls as Vice President and Commercial and Ag Banker, according to Brian Hokanson, Senior Vice President and Senior Lender for Merchants Bank. “We believe Jim’s skills, especially in the area of ag lending, are a tremendous fit for our focus as a bank, but, more so, the right fit for our current and future customers,” Hokanson said. 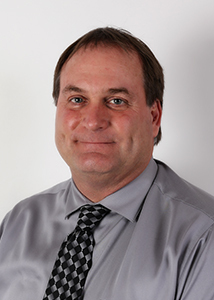 Peterson has 16 years of commercial lending experience, working both in North Dakota and Minnesota. In addition to serving the needs in the Cannon Falls area, Peterson will also work with Ag customers in the Rochester area. Peterson is a native of North Dakota and graduate of North Dakota State University, with a degree in Agricultural Economics. He has a long history of community involvement and a love for the outdoors, including time serving on the Advisory Board for the North Dakota Parks and Recreation Department. Jim and his wife, Tina, are looking forward to being active members of the Cannon Falls community. This entry was posted in Current News and tagged Business Banker, Business Banking, Business Lending, Merchants Bank. Bookmark the permalink.